His train broke down on the way to his graduation. So subway strangers threw him an impromptu ceremony. "Thank you guys for coming out today to see my graduation. I appreciate it." Sometimes, people are great. 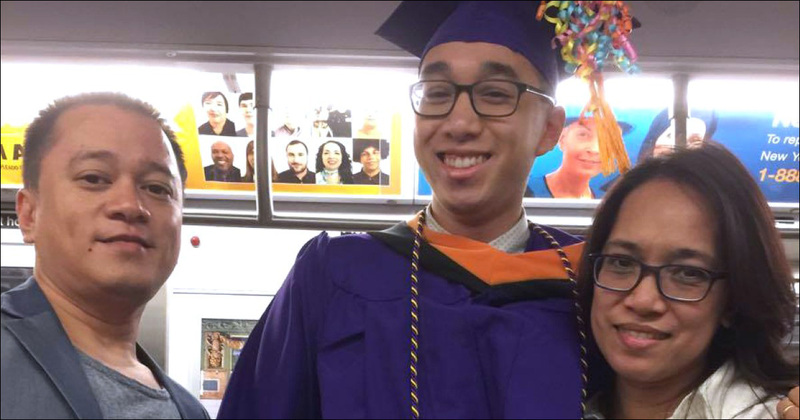 This week in New York, subway strangers held an impromptu graduation ceremony for a nursing school student who missed his actual grad ceremony due to massive train delays. 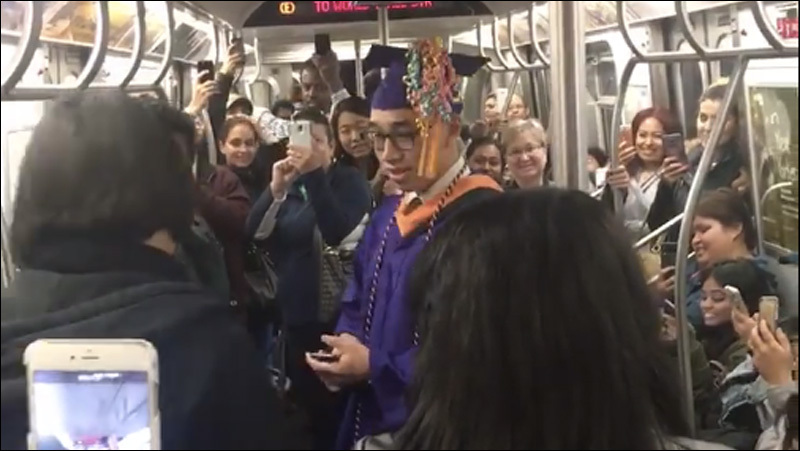 On Tuesday morning, 22-year-old Jerich Marco Alcantara boarded the packed E train from Queens to Manhattan to attend his graduation at Hunter-Bellevue School of Nursing. 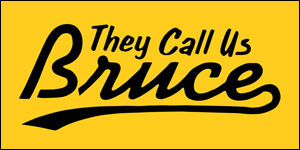 Unfortunately, the train was stalled by an emergency brake malfunction that kept Jerich and his fellow passengers stuck underground for close to three hours. He wasn't going to make it to his graduation. He was going to miss the whole thing. Of course, this was a bummer. Standing there on the train, in his full cap and gown, Jerich attempted to alleviate the mood and cracked a joke. He turned to the other passengers in his subway car and said, "Thank you guys for coming out today to see my graduation. I appreciate it." 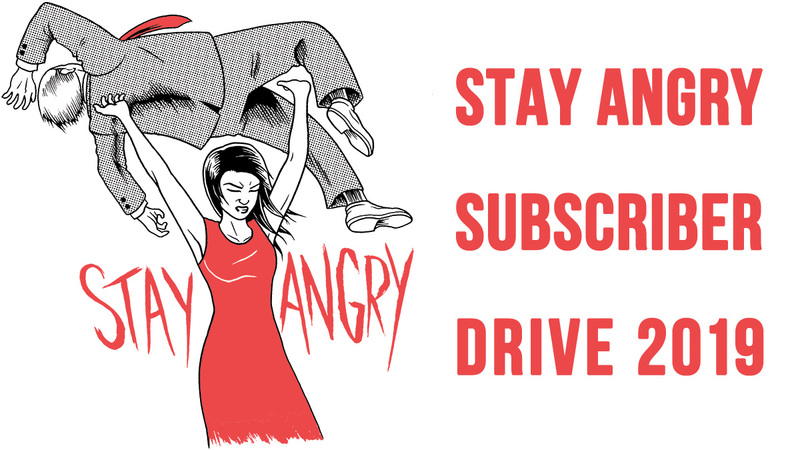 The people in the car erupted in cheers, and it was on. "It just kind of snowballed after that." Alcantara told The Washington Post. Delays be damned! Jerich's friends, along with some complete strangers, decided to give this graduate the proper commencement ceremony he deserved -- right there in the subway car. 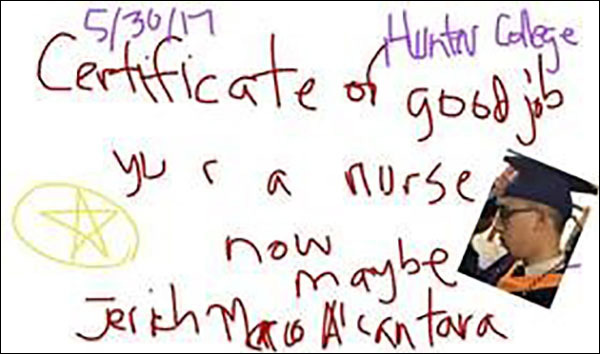 His friend became the "dean," shaking Jerich's hand as he granted him a makeshift diploma, drawn on his phone using an app. Someone else used their phone and a pair of portable speakers to play quintessential graduation songs, including "Good Riddance (Time of Your Life)" by Green Day. The moment was, of course, caught on video by a fellow passenger, and has since gone viral. First of all, congratulations to this guy for graduating, and shout outs to the loved ones who helped get him there. Also, props for being able to make the best out of a crappy situation. And much love to the complete strangers who joined in and helped make it a day to remember. Jerich, who has hopes of becoming a nurse, called it "the most New York thing I've ever experienced."